Indonesia, with a population of over 250 million, has been experiencing rapid urbanization in the last few decades. This rapid urbanization has caused many problems in Indonesian cities. The issue of housing provision for the urban poor in many cities become more complicated. A majority of the urban poor cannot afford to buy housing provided by either the State Housing Provider Agency (PERUMNAS) or private developers due to their low and unstable income. This condition forces them to various individual solutions including self-built inappropriate houses and squatting in slums and squatter settlements (Sudarmo 1997; Tunas and Peresthu 2010). In Indonesian cities, most poor residents live in spontaneous informal settlements referred to as kampung. Kampungs are scattered throughout the city and have substandard infrastructure, small plots of land for each dwelling and low quality of building structure and materials. Most of the dwellings in kampungs are constructed gradually by the residents from permanent and non-permanent materials depending largely on what the residents can afford (Tunas and Peresthu 2010). Poor kampung residents are marginalized urban residents that push their way to occupy state land such as disposal sites, riverbanks, and railway tracks and private unoccupied land and illegally construct their dwellings (Winayanti and Lang 2004). Indonesia has been implementing three housing policies including self-help housing policy such as the Kampung Improvement Program (KIP), Community-based Housing Development (P2BPK) and Self-help Housing Assistance (BSPS); the PERUMNAS Program which is the national program for public housing development; and the cross subsidy housing policy (Tunas and Peresthu 2010; Minnery et al 2013). This post discusses all three housing policies and the transformation of Indonesia’s housing policies after the fall of Suharto’s authoritative regime. The discussion also includes the housing finance, the interplay of the state and the market in housing outcome and the extent to which the three housing policies have addressed the housing provision for the urban poor in Indonesia. Indonesia proclaimed its independence from the Dutch in August 1945 and has experienced a period of revolutionary struggle for independence (1945-1949), a period of democratic liberalism and parliamentarism (1950-1957) and a period of authoritarian rules under Sukarno’s Guided Democracy (1959-1965) and the New Order Regime (1966-1998). The New Order Regime led by General Suharto was established in 1966 in the wake of the abortive communist coup of 30 September 1965. President Sukarno was accused of being involved in the coup since he refused to condemn the Indonesian Communist Party (Anwar 2005). A year after the failing coup, President Sukarno resigned and then Suharto took power and started his authoritarian government for more than thirty years. The MPR (People’s Consultative Assembly) and the DPR (Parliament) were nothing more than a rubber stamp for the Suharto government. Political participation was restricted and the electoral system was modified in favor of the continuation of the Suharto government. Such political restriction and electoral system were justified as necessary for stability and economic development. The Suharto government was able to crush down all oppositions and ban all political activities from universities. Media censorship was imposed and the critics of the government were imprisoned or economically and socially marginalized (Anwar 2005). Under the New Order Regime, Indonesia had enjoyed steady economic growth. Economic growth was accompanied by a reduction in the percentage of the population living under the poverty line (Firman 1999). From 40% in 1976, the levels declined to the official level of 11.3% in 1996. In 1996 6.9 million people in urban areas and 15.7 million people in rural areas lived under the poverty line. The economic development also led the emergence of a new middle class and eventually the proliferation of non-governmental organizations, policy advisory institutions and think tanks. These NGOs provided policy advocacy and legal aids to communities and also played an important role in reducing the dominance of the state over society. Serious economic and monetary crises hit many Asian countries; in July 1997 and Indonesia experienced the worst impact of the crisis (Anwar 2005; Firman 2002; Winarso and Firman 2002). The failure of the New Order regime to address the impacts of the economic and monetary crisis led to massive protests and riots in many places. President Suharto eventually resigned on 21 May 1998 and it ended his authoritarian rule after 32 years in power. The fall of the New Order regime bring a change in government but also, more importantly, led to a new era of reformasi, or reform that dismantles the authoritarian political structure and replaces it with a more pluralistic and accountable system of government. The reformasi movement also seeks to get rid of economic monopolies, fight corruption, collusion and nepotism and promote accountable and clean government (Anwar 2005). The reformasi movement witnessed the liberalization of political parties’ establishment and their participation in elections. After Suharto’s New Order regime, political activities were liberalized and the freedoms of speech and association were fully assured (Nomura 2007). The Indonesian parliament passed a new law on regional autonomy (The Regional Autonomy Law 32/2004) and a new law on fiscal decentralization (The Fiscal Decentralization Law 33/2004). In the new regional autonomy law, the head of provincial government and the head of district are directly elected by the people rather than by the local councils. In addition, the provincial government is authorized to coordinate the district governments. The Regional Autonomy Law 32/2004 abolishes the hierarchy between center, provincial and district governments. Most of the administrative affairs including spatial planning, health, education, public works, and housing are transferred from the central government to the local government. The central government remains responsible for five affairs including defense, international affairs, fiscal and monetary affairs, justice and religious affairs. The new laws on regional autonomy and fiscal decentralization offer a shift of several government functions and responsibilities from central to local government and create a greater role of the local governments, including Provincial, Districts (Kabupaten) and Municipalities (Kota), in several important functions. These new laws have the potential for making housing provision urban planning and development in Indonesia more locally managed (Firman 2003; 2008). The main provision of the new Decentralization Law involves the sources of the local government’s income including its own income (PADS), an equalization grant (dana perimbangan) which replaces the central government grant to lower level government, and a special allocation which is granted by the central government to the selected districts or provinces on the basis of their special needs. The local government is also entitled to revenue sharing from land and building taxes and natural resource utilization. Reformasi also witnessed two other fundamental government changes: the abolition of the military (ABRI) presence in the parliament (Law 22/2003) and the direct presidential election. The national police (POLRI) was separated from ABRI and the police is fully responsible for the internal security. The military was renamed from ABRI to Tentara National Indonesia (TNI) and focused only on the national defense. After the fall of the New Order Regime, there have been four amendments to the Indonesian Constitution. The People’s Consultative Assembly made these amendments in its annual assembles from 1999 to 2002. The president and vice president hold their positions for a five-year period and afterwards can be re-elected for only another five-year period as stipulated in the first amendment. The direct presidential election is the result of the third amendment in November 2001. One of the amendments to the Indonesian constitution after the fall of the New Order regime is a new provision of housing in a decent and healthy neighborhood (Amendment of 1945 Constitution, Article 28H) for Indonesian citizens. Every Indonesian citizen is entitled to housing in a decent and healthy community. The amendment was made during the plenary session of the People’s Consultative Assembly in August 2000. The New Order regime enacted the first law on housing and settlement areas in 1992. The Housing and Settlement Areas Law 4/1992 set the ground rules for housing provision and settlement areas in Indonesia and reflected the authoritarian rule of the New Order regime. The new system of government in Indonesia after the fall of the New Order regime enacted a more democratic and accountable institutional setting. The Housing and Settlement Areas Law 4/1992 was no longer relevant with the new system of government. The new Housing and Settlement Areas Law was enacted in January 2011 and replaced the Housing and Settlement Areas Law 4/1992. The new Housing and Settlement Areas Law 1/2011 reflects the new system of government in Indonesia, particularly the new decentralization laws and the enthusiasm of Indonesian people for a more transparent and accountable system of government. This new law stipulates some provisions that are not included in the Housing and Settlement Areas Law 4/1992. The Housing and Settlement Areas Law 1/2011 have a few new principles of the housing provision that were not included in the previous law including welfare, nationalism, collaboration, harmony, and integration. These new principles is included in the new law presumably to correspond with the enthusiasm of Indonesian people for a more transparent and accountable system of government. The Housing and Settlement Areas Law 1/2011 provides a legal framework to advance the housing provision for low-income residents (Mungkasa 2012). The new Housing and Settlement Areas Law stipulates the housing subsidy and assistances for low-income residents. The government is mandated to assist low-income residents in tax incentives, permits insurances, land and public utilities provisions, and land title registrations. The Housing and Settlement Areas Law stipulates the provincial and local governments have a greater level of responsibility and authority on the housing provision than the central government does (Mungkasa 2012). The provincial and local governments have the authority to collect housing data, empower housing stakeholders, coordinate the usage of environment-friendly technology and design, and provide lands for housing. The Housing and Settlement Areas Law 1/2011 also provides the provision of addressing slum areas. The provincial and local governments are mandated to identify and delineate slum areas, prevent the expansion of slum areas and upgrade the quality of life in slum areas. According to the Article 97 of the Housing and Settlement Areas Law 1/2011, the upgrading of slum areas includes restoration, revitalization and resettlement of slum areas. Five types of housing are identified in the Housing and Settlement Areas Law 1/2011 including commercial housing, public housing, self-built housing, special housing and state housing. Commercial housing is built by developers for profit. Public housing is housing units built for the poor. Self-built housing is housing units built by residents individually or collectively with other residents. Special housing is housing units built for a special purpose. State housing is housing units owned and operated by the government. Special and state housings are built by the government. Another important provision of the Housing and Settlement Areas Laws 1/2011 is the sanction provision for housing provision violations. The sanctions for housing provision violations include administrative sanctions and criminal sanctions. This law stipulates nineteen types of administrative sanctions such as written warning, revocation of building permit, revocation of business license, order of houses demolition, and closure of the location. These administrative sanctions were not stipulated in the previous law. The criminal sanctions in the new law include imprisonments up to 5 years and penalties up to Rp. 50,000,000,000.00 (approximately US$ 416,666.67). The criminal sanctions in the previous law were imprisonments up to 2 years and penalties up to approximately US$ 1,666.67. 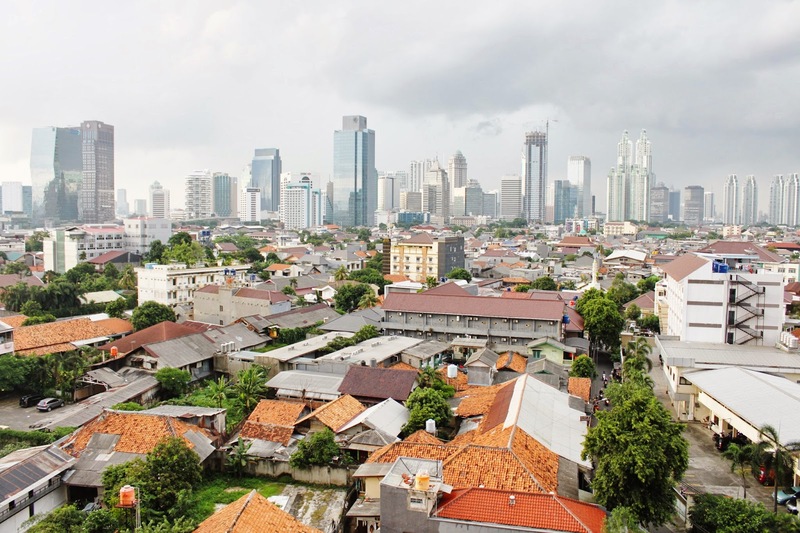 This section discusses housing policies in Indonesia including self-help housing, public housing, and the segmentation of housing market policies. According to the National Indonesian Socioeconomic Survey (SUSENAS), the dominant form of housing production in Indonesia is self-built housing which accounted for more than 70% of houses produced between 2002 and 2007 (Monkkonen 2013; Mungkasa 2012). The dominance of self-built housing in Indonesia is primarily due to the dynamic informal housing sector in Indonesia (Crane et al 1997; Leaf 1993; Struyk et al 1990). The informal housing sector in Indonesia takes place mostly in Indonesian kampungs (Leaf 1993; Tunas and Peresthu 2010). Kampung is unplanned, incrementally developed areas and frequently associated with slums (Winarso 2010). Informal and self-built housing in Indonesian kampungs constitutes the majority of new housing starts in Indonesia (Monkkonen 2013). More than forty percent of new houses in the Metropolitan Jakarta between 2002 and 2007 were self-built. The informal housing sector or self-help housing has become an integral part of the urban landscape in many developing countries including Indonesia. Such informal settlements also accommodate millions of urban poor people without access to public housing (Biderman et al 2008; Brueckner and Selod 2009; Tunas and Peresthu 2010). Indonesian kampungs also house most the poor people in Indonesian cities with a number of urban features including high density, poor living conditions, and poor infrastructure and public facilities (Tunas and Peresthu 2010; Winayanti and Lang 2004). Indonesia has been implementing three self-help housing policies including the Kampung Improvement Programme (KIP), the Community-based Housing Development program (P2BPK), and the Self-help Housing Assistance (BSPS). The KIP was launched in 1969 by the Governor of Jakarta, then Ali Sadikin to upgrade living conditions in Jakarta’s kampungs. The KIP was the world’s first urban slums upgrading project and funded by the World Bank until 1982 (Juliman and Durrendon 2006). The program was to ensure the retention and improvement of existing housing stock and to provide serviced sites for poor families for constructing new housing for themselves using self-help methods (Silver 2008; Tunas and Peresthu 2010). The KIP undertook the upgrading of roads and footpaths, improved drainage, enhanced water supply, sanitation, and solid waste disposal, and the building of schools and local health clinics (Garr 1989; Tunas and Peresthu 2010; Winayanti and Lang 2004). In the 1980s, the KIP was reconfigured into the Community Infrastructure Program as part of the Integrated Urban Infrastructure Development Programme (IUIDP). The new KIP consisted of three approaches including the improvement of physical quality (Bina Lingkungan), the improvement of quality of life (Bina Manusia) and the improvement of the economy (Bina Usaha) (Silver 2007; Tunas and Peresthu 2010). The community-based housing development or Pembangunan Perumahan Bertumpu pada Komunitas (P2BPK), is a housing provision program that promotes informal and community-based housing delivery. This program encourages active participation of communities in mobilizing resources including finance and labor to lower housing costs. P2BPK was inspired by a project sponsored by UNCHS and UNDP in 1988. The Ministry of Public Housing launched the Self-help Housing Assistance, known as BSPS for initials in Bahasa Indonesia, in 2006 (Heripoerwanto 2012). The BSPS is aimed to assist low-income households in urban and rural areas in Indonesia. The Ministry of Public Housing Regulation 14/2011 stipulates three scopes of the BSPS including the development of new houses, the improvement of house quality, and the development of public infrastructure and utilities. The types of assistance include cash assistance and building materials. The Ministry of Public Housing Regulation 14/2011 also stipulates the BSPS recipient criteria including Indonesian citizens, living below the poverty line, married, owning a land title and having a bank account. The number of built or improved housing units and built public infrastructure and utilities by the BSPS in Indonesia increased from 3,550 in 2006 to 16,403 units in 2011 (Heripoerwanto 2012). The public housing program in Indonesia started in the 1950s when a few government ministries and housing cooperative created by local governments built low-cost housings. This approach generated a handful of new housing units and only targeted to civil service corps (Silver 2008). Following a National Housing Workshop in 1974, the Government of Indonesia established three key institutions to address housing problems including the National Housing Authority (Badan Kebijaksanaan Perumahan Nasional) which is responsible for formulating the national housing policy, the PERUMNAS Corporation which is responsible for providing low-cost housing in Indonesian urban areas; and the State Savings Bank (Silver 2007; Tunas and Peresthu 2010; UN Habitat 2008). The PERUMNAS program is the national public housing programme run by the PERUMNAS Corporation. The program is supported and subsidized by the State Savings Bank, known as BTN for initials in Bahasa Indonesia. The BTN first offered loans for house purchase in 1976 and in the 1980s became central to the housing finance market particularly for low- and middle-income households. Two-thirds of the BTN’s lending funds derived from the Ministry of Finance and the Bank of Indonesia at rates well below market levels (Lee 1996). The PERUMNAS program through the BTN offered loans up to 20 years with low interest rates of 8.5% to 14% with a 10% down payment (Tunas and Peresthu 2010). The program is aimed to provide low-cost housing units for low- and middle-class-income households with a monthly income of less than Rp. 1.5 million or US$125. The PERUMNAS program built housing units on different size lots from 18 square meters to 36 square meters. The dimensions of the house are based on the minimum requirements for individual space, good lighting and air circulation. The PERUMNAS program also offers a ready-to-build land parcel on different size lots from 54 square meters to 72 square meters for people who prefer to build a house on their own way (Tunas and Peresthu 2010). Those who are eligible for loans from the BTN are those who have formal collateral (Sastrosasmita and Amin 1990). About eighty percent of BTN borrowers are government employees. Civil servants can provide formal collateral and are considered better risks. Those who are working in informal sectors and cannot show any formal collateral are not eligible for loans from the PERUMNAS program. The Government of Indonesia through three ministries including the Ministry of Home Affairs, the Ministry of Public Housing and the Ministry of Public Works issued a joint decree of the socially integrated housing policy (Lingkungan Hunian Berimbang) on November 16, 1992. The policy is a cross subsidy program and an instrument for balancing segmentation in the housing market and linking the growing number of high end houses to provision of more low-cost houses (Silver 2008; Yuniati 2013). The socially integrated housing policy has two main objectives including producing more affordable houses and encouraging more socially integrated housing development through mixed-income residential areas (Mungkasa 2013; Tunas and Darmoyono 2014; Yuniati 2013). This policy commonly referred to as 1:3:6 policy requires developers of luxury housing to build three medium and six low-cost housing units for every unit of luxury house they built (Silver 2008; Tunas and Darmoyono 2014). The policy stipulates that low-cost housing units should be built on the same site as medium and luxury housing units. However, in practice this policy has not been fully enforced (Widoyoko 2007). Enforcement of this policy was difficult because the policy was only a ministerial decree and it was commonplace for the low-cost units to be built after the luxury and medium housing units were completed (Mungkasa 2013; Silver 2008). The developers of a luxury waterfront community of Pantai Indah Kapuk, North Jakarta built more than 1,000 luxury and medium housing units before they even began their work on low-cost apartments. Due to the fiscal crisis, the developers discontinued the development of low-cost apartments (Silver 2008). In addition, many developers built luxury and medium housing units first and built low-cost housing units later on different sites (Tunas and Darmoyono 2014). The 1:3:6 policy was not easy to implement. In most cases, the developers negotiated the housing compositions with local governments and even replaced low-cost housing units with public facilities and infrastructure development. The developers had no longer obligations to provide low-cost housing units (Tunas and Darmoyono 2014). The Ministry of Public Housing identified only five housing projects that fully implemented the 1:3:6 policy including Telaga Kahuripan in Bogor Regency (750 ha), Bukit Semarang Baru in Semarang Regency (1,250 ha), Bukit Baruga in Makassar (1,000 ha), Driyorejo in Gresik Regency, and Kurnia Jaya in Batam (100 ha) (Mungkasa 2013). Due to an ineffective implementation of the 1:3:6 policy, the Minister of Public Housing amended the cross subsidy policy in May 2012. The new policy of cross subsidy (The Minister of Public Housing Regulation 10/2012 stipulates that developers are required to build two medium and three low-cost housing units for every unit of luxury house they build. The sites of low-cost housing units should also account for a minimum of 25% of the total residential project areas. Anwar, Dewi Fortuna. 2005. ‘The Fall of Suharto: Understanding the Politics of the Global. In, Francis Loh Kok Wah and Joakim Ojendal (eds). Southeast Asian responses to globalization: restructuring governance and deepening democracy. Singapore: NIAS Press. Crane, Randall. Daniere, Amrita. And Harwood, Stacy. 1997. ‘The contribution of environmental amenities to low-income housing: a comparative study of Bangkok and Jakarta’ Urban Studies 34: 1495-1500. Leaf, M. 1994. 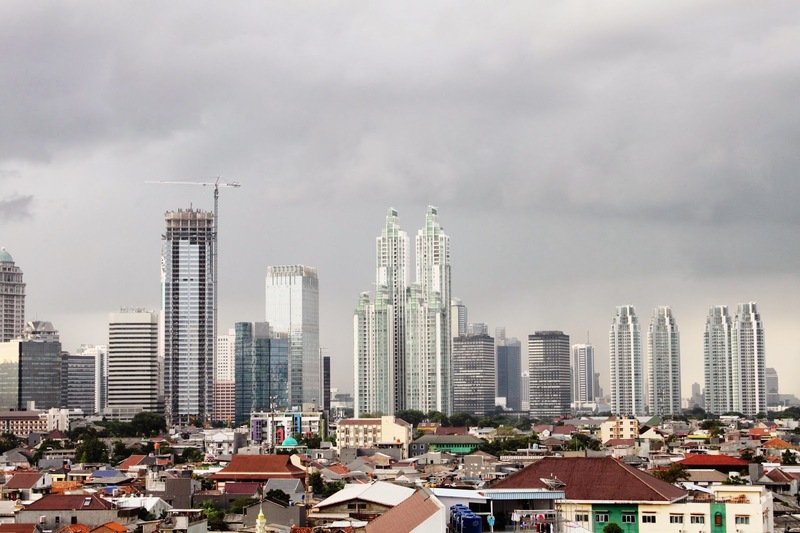 Legal authority in an extralegal setting: the case of land rights in Jakarta, Indonesia. Journal of Planning, Education and Research 14(1): 12-18. Leaf, M., 1993. Land rights for residential development in Jakarta: the colonial roots of contemporary urban dualism. International Journal of Urban and Regional Research 17, 477-491. Monkkonen, Paavo. 2013a. ‘Housing deficits as a frame for housing policy: demographic change, economic crisis and household information in Indonesia’ International Journal of Housing Policy, 13 (3): 247-267. Monkkonen, Paavo. 2013b. ‘Urban land-use regulations and housing markets in developing countries: evidence from Indonesia on the importance of enforcement’ Land Use Policy 34: 255-264. Mungkasa, Oswar. 2013. ‘Catatan Kritis tentang Hunian Berimbang’. HUD Magazine 4: 18-21. Struyk, R.J., Hoffman, M.L., Katsura, H.M., 1990. The market for shelter in Indonesian Cities. The Urban Institute, Washington, DC. UN Habitat, 2003. Slums of the world: the face of urban poverty in the new millennium? UN Habitat, Nairobi, Kenya. Winarso, Haryo. 2010. Urban dualism in the Jakarta Metropolitan Area. In A. Sorensen and J. Okata (eds. ), Megacities: Urban Form, Governance and Sustainability. pp. 163-190. Springer. World Bank. 2011. Indonesia Urbanization Review. The World Bank, Washington, DC.